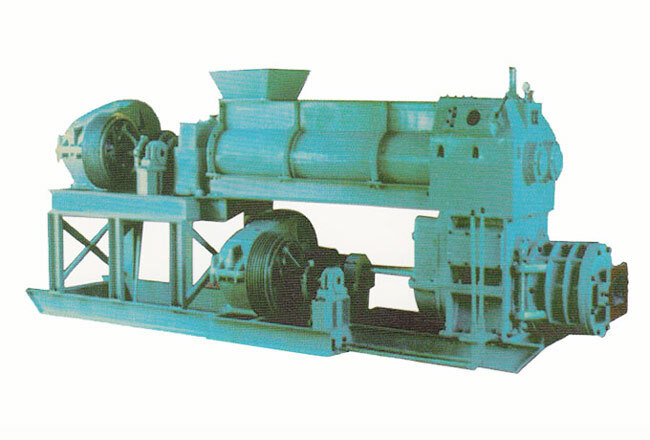 This Extruder used in shaping process of brick production, the treated clay will be plastic extruded by up stage then via vacuum room into down stage extruding into solid or hollow clay column of required cross section and shape which then cut into green brick by green brick cutter. It is a key device to make solid and hollow bricks. Copyright 2019 China Nantong Hengda Machinery Manufacturing Co.,Ltd.